Whether you are a first time or seasoned property buyer, we are here to make this important transaction smooth and worry-free by taking the mystery out of the process and managing the details for you. We find our clients often have similar questions, so we have compiled a simple glossary on this page to address some key points of the home buying process. We invite you to email us for a complete information package or, if you prefer, give us a call to have your questions answered by our staff. Closing: The day of closing of the purchase or sale of the property. This is the date that money will be exchanged for keys and that the deed and mortgage will be registered on a purchase. This is the day that the purchasers can move in or that the vendors must vacate. Most closings will happen between noon and 4:00 p.m. The contract typically states that closing will take place by 6:00 p.m.
Disbursements: Any expense that the lawyer has to make on behalf of the client in order to prepare for the closing day. Examples include property and tax searches. Legal Fees: The amount the lawyer charges for all work done to certify title to the new property or to prepare for the sale. The fees include all searches, document preparation, troubleshooting any difficulties, all meetings and telephone calls, meeting with clients to review mortgage and sign documents, registration of deed and mortgage, banking, exchange of money and keys and reporting to the client and to the mortgage lender. Land Transfer Tax: A tax payable to the Ministry of Consumer and Business Services which is collected by the lawyer on the day of closing and submitted through the electronic registry company Teranet. Registration Fees: A fee paid to the Ministry of Consumer and Business Services, to register deed and mortgage documents on closing. Title: The right of ownership of the property. Ttle Insurance: We now recommend title insurance on all transactions. The insurance covers the homeowner for a number of problems that may arise relating to title or survey issues. It may also protect the homeowner from title fraud which is a growing concern. Title Instructions: The manner in which owners will take title to their new property. Joint tenants share the title equally and interest transfers to one or the other upon death. Tenants in common maintain separate ownership according to the percentage of ownership. With over 25 years of experience in Real Estate Law, Michael and his staff are dedicated to providing you with exceptional personal service. Let us put our expertise to work for you. Call or email us today with any questions. Registration Fee: A fee paid to the Ministry of Consumer and Business Services, to register deed and mortgage documents on closing. Title Insurance: We now recommend title insurance on all transactions. The insurance covers the homeowner for a number of problems that may arise relating to title or survey issues. It may also protect the homeowner from title fraud which is a growing concern. We understand that estate planning is a delicate subject and an extremely important preparatory step, whether you’re a young parent or in your later life. He meets with all clients again to review drafted will and power of attorney documents, also to witness the signing of same. Mike is pleased to hold original documents in fire-safe storage, and to review the documents over time, if your wishes change. 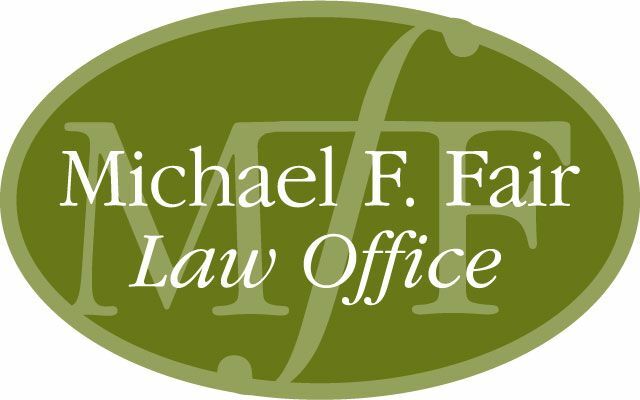 For all inquiries regarding wills, estate planning or power of attorney documents, contact Audrey at audrey@mikefair.ca. In addition to our personal and real estate legal services, we also provide consultations for uncontested divorce and separation agreements. We’ll make sure that your legal rights are represented and protected throughout the process, working with both parties to ensure an agreeable outcome. We’ll also help you complete all of the necessary paperwork for property and asset division, support payments and custody agreements.